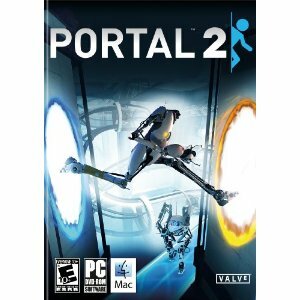 Portal 2 at for $44.99 (on Amazon) from Leo Laporte. Photosynth for iPhone for free from Alex Lindsay. Osprey Veer iPad Bag at http://www.ospreypacks.com for $50 from Andy Ihnatko. Incase Origami Workstation for iPad for $29.95 from Andy Ihnatko. Bossypants ($14.00 on Amazon)from Andy Ihnatko. Born Standing Up: A Comic’s Life ($9.68 on Amazon) from Andy Ihnatko. George R. R. Martin’s A Game of Thrones 4-Book Boxed Set: A Game of Thrones, A Clash of Kings, A Storm of Swords, and A Feast for Crows (A Song of Ice and Fire) ($19.78 on Amazon) from Leo Laporte.